It’s the lighting, flooring, fixtures, and tile that you choose that’ll bring your personality into your new bath and make it function how you desire. Without these bath products, your new bathroom would be nothing but a bare room with plumbing roughed in. Whether you want a state-of-the-art bathroom with the most energy-efficient fixtures and a fancy in-shower sound system or you want a simple utilitarian bath outfitted with low-profile products, the bathroom products selection phase is when your bathroom design will truly start to come to life and you’ll be able to put your personal mark in your new space. Plus, what could be a better way to spend an afternoon than browsing a nearly endless selection of every product you’d possibly need to make your bathroom functional and beautiful? At Kitchen & Bath Depot, we have an incredibly extensive selection of bath products for you to choose from and thanks to our direct-from-the-factory pricing, you can enjoy great savings on the products you love!Even if you’re working on a limited budget, you’re sure to find the right lighting, flooring, tile, and cabinetry for your style and price range. We’ve been providing high-quality and affordable bath products for over 30 years to clients all around Maryland, Washington, D.C., and Montgomery County, including Olney, Gaithersburg, Derwood, North Potomac, Rockville, Bethesda, Chevy Chase, Potomac, and Silver Spring. Come visit our showroom today to see our collection for yourself! 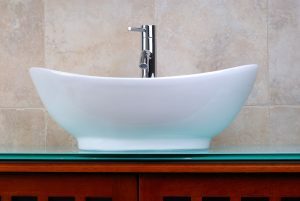 Since the bath products you choose will have a huge impact on the finished look on your completed bath renovation, it’s important to have a large selection to choose from so that you can pick the right product and not the only one that you can afford. What could be worse than installing fixtures that you don’t really love because they’re the only option available? Every time you use the bathroom, you’ll be reminded of the fact that you couldn’t go with your first choice. That’s why you need to be able to choose from a large selection of options that are available at a wide range of price points. At Kitchen & Bath Depot, our factory-direct prices ensure that we’re able to keep our costs low and we translate those savings directly to our customers. When you need options, you need the help of Kitchen & Bath Depot!